Computer science students work on a research project as faculty member Richard Weiss observes their progress. The National Science Foundation awarded Evergreen a $124,889 grant for a project titled Collaborative Research: Modeling Student Activity and Learning on Cybersecurity Testbeds.” Led by faculty member Richard Weiss, the two-year project aims to develop tools to measure students’ cybersecurity learning and provide actionable feedback to students and instructors. Student and faculty researchers will develop a framework for the automated assessment of student learning in practical cybersecurity exercises. Evergreen was awarded a $49,260 grant from the National Institute of Food and Agriculture to support the Ecological Forestry and Climate Variability Conference to be hosted by the college in June 2018. The conference will focus on the critical role the Pacific Northwest’s vast forests can play in slowing global climate change by sequestering more carbon. Faculty member Dylan Fischer co-wrote the grant with the Northwest Natural Resources Group. Read more about the 2018 Climate Change Conference. In August 2017, a 1.7 million-acre portion of Olympic National Park was renamed the Daniel J. Evans Wilderness. A former Evergreen president, U.S. senator, and Washington governor, Evans (pictured in historical photo below) began exploring state and national parks as a Boy Scout and continues to do so today. The name change was co-sponsored in Congress by Evergreen alumnus and U.S. Congressman for Washington’s 10th District, Denny Heck ’73. Veteran Nicholas Timm won $50,000 for his cidery business plan. 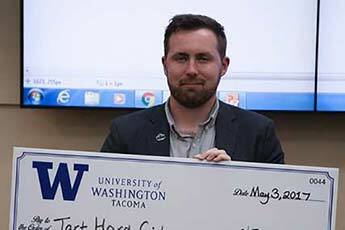 Nicholas Timm ’17 won first place in the inaugural Veteran’s Incubator for Better Entrepreneurship (VIBE) Business Plan Competition at the University of Washington Tacoma in May, 2017. Timm, who served in the Air Force, partnered with Evergreen faculty member Zoë Van Schyndel on a business plan for his recently launched cidery, Tart Cider LLC. Read more about the VIBE Business Plan Competition. U.S. News and World Report recently ranked Evergreen number one for innovation and number one for undergraduate teaching among regional universities in the West. 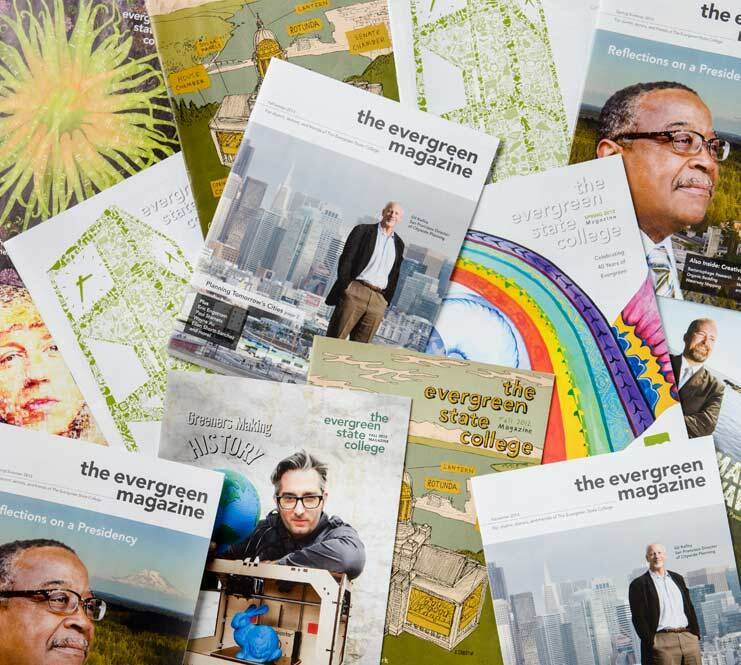 Washington Monthly, a government and policy magazine, named Evergreen the third best master’s university in the country. The magazine also ranked Evergreen 15th on their list of the “Best Bang for the Buck” colleges in the West. Read more about Evergreen rankings. 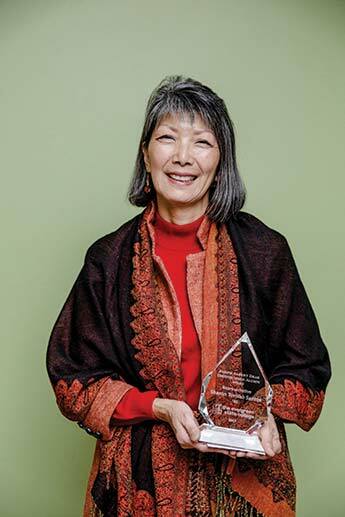 Washington State Representative Sharon Tomiko Santos ’85 was the 2017 recipient of Evergreen’s Joseph Albert Dear Distinguished Alumni Award. Rep. Santos represents the 37th Legislative District, which includes Renton and South Seattle, and has dedicated her career to the advancement of civil rights, women’s rights, economic justice, environmental justice, and affordable housing. Read more about the Distinguished Alumni Award. 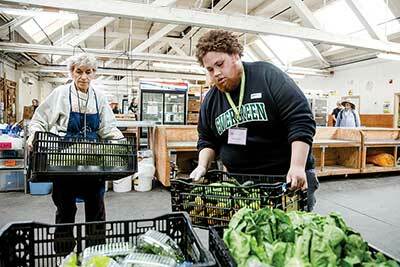 For 28 years, new students at Evergreen have had the opportunity to participate in a day of service. Five years ago, it evolved into a collaboration with United Way of Thurston County’s Day of Caring. This year, Day of Caring was included in new-student orientation at the start of fall quarter. Read more about Day of Caring. 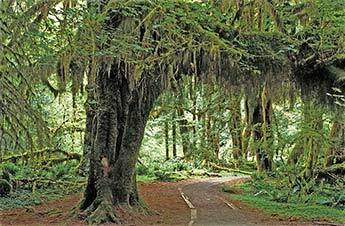 The Return to Evergreen Quinault Field Trip takes a hike along the Maple Glade Rainforest Trail. In early November 2017, Return to Evergreen (R2E) welcomed alumni, family, and friends from across the country. Crowd favorites such as the Sip and Savor social hour with alumni businesses, hands-on workshops, and lively discussion at seminar were a hit. Coupled with new events, such as Evergreen@50 Brunch, a story slam, and a day trip to Lake Quinault, Greeners made the three-day weekend one to remember. View the Return to Evergreen Photo Gallery. 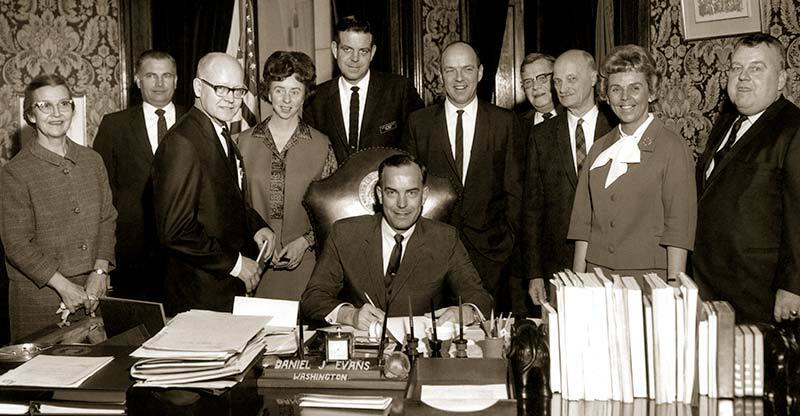 Correction: In the last issue, we used the wrong photo of the 1967 signing of Evergreen’s founding documents by Governor Dan Evans. The photo shown above is the correct one. We apologize for the error.